Think of Rome, and your mind can’t help but conjure up images such as the opulence of the Sistine Chapel or the deep history of the Colosseum. It’s likely your thoughts will immediately be drawn to the Roman Forums or even the Vatican Museums. It’s the beauty of Rome. That’s part of its intoxicating magic. Astounding sights at every turn, a rich past unlike any other. And there’s no denying the sheer wonder of these places; there really is nowhere like them in the world. Yet, when faced with just 24 hours in this extraordinary city, you’re inevitably going to have to put a limit on how many of these bucket list locations you cross off the list. But, are you ready for the good news? There’s so much more to Rome than just the tourist attractions. The atmosphere of the city, the hidden gems and the irresistible culture — you will never be at a loss for things to experience in Italy’s gleaming capital! Take to the city by foot and soak up each and every detail. With historic landmarks at every turn, you’re sure to stumble across far more than you could ever imagine. Start the day the Italian way! It isn’t a trip to Italy without a frothy cappuccino and fresh cornetto to welcome in the day. Get an early start by finding a cosy, authentic café (it won’t be hard to come by!) and enjoy a moment of calmness before the crowds descend. Italy is perhaps best known for its fine works of art, and what better way to start your Roman adventure than with an early morning visit to one of the city’s finest galleries. Galleria Borghese features 15th to 18th century sculptures and paintings in the idyllic setting of a 17th century villa surrounded by beautiful gardens. With 20 rooms, it offers a crash course in exquisite Italian aesthetic, featuring antiquities, Renaissance pieces and the beginning of Baroque art. A substantial Borghese collection, the museum includes art work from Caravaggio, Raphael, Titian, and Bernini. Many tourists normally miss this stunning spot, so it tends to be less busy than other galleries. Those in need of some fresh air should take to the exquisite gardens afterwards for a stroll or even a light jog. Note that you have to reserve your ticket beforehand, so book an early slot and avoid the crowds. After exploring the Galleria Borghese, take a leisurely walk down to San Luigi dei Francesci (Church of St Louis of the French) to complete your art fix. This stunning location will take your breath away; full to the brim with the most intricate architecture and mesmerising art (including some of Caravaggio’s most powerful work), the Roman Catholic church is an unmissable destination for any itinerary. Next, take a short walk round the corner to the Pantheon. 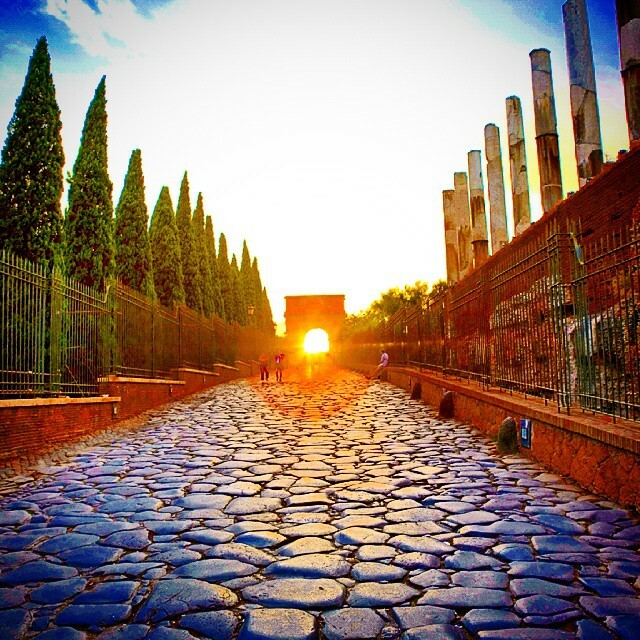 One of Rome’s most well-known attractions, it’s free to enter and is quick to get into. Drink in its history and marvel at its complex architecture. There’s no time limit on this sublime creation, so take as long as you need to truly absorb its splendour. When you’re done, be sure to grab a gelato around the corner at Giolitti, one of the best in Rome, to sample real gelato artigianale. 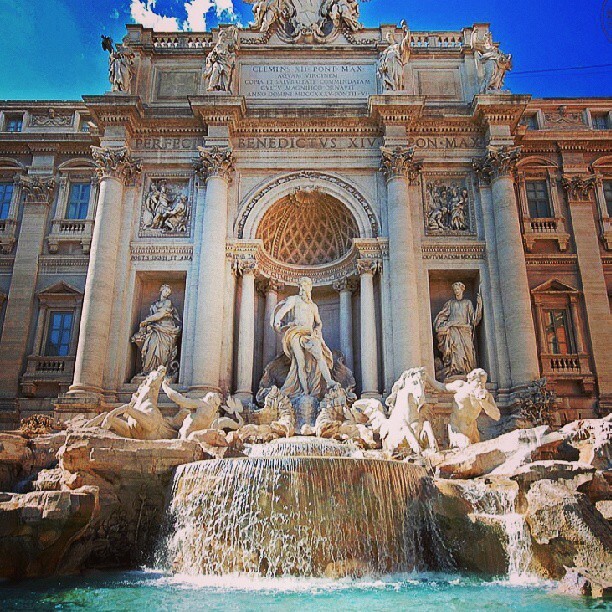 Head on over to the exceptional Trevi Fountain and grab a slice (or three!) of pizza from any of the delicious pizzerias in the area. Sit outside and enjoy Italy’s most beloved dish in the company of this fantasy-like sculpture. Baroque art at its very finest, this marble fountain has to be seen to be believed. And don’t forget to toss in a coin for good luck! Once you’ve finished your lunch, find your way over to the Monti district (keeping your eyes peeled the whole way — you’ll pass various historic monuments). But first, make sure you pass through Rome’s top hot spot: the Colosseum and Roman Forums. Time permitting, head inside — but bear in mind that queues will be intense. But if you can’t get in, the view from outside is still remarkable and not to be missed! Just around the corner, the Monti District boasts a huge selection of hip bars, international cafés and restaurants, and vintage clothing stores. Dubbed Rome’s “cool” corner, it has a strong community vibe and an authentic Italian feel far away from the reams of tourists. Picture cobblestone streets, quiet corners, and plentiful shopping opportunities. Fill your bags, grab a drink, and immerse yourself in this uniquely creative crowd. After all that shopping, you’re bound to be hungry! Trastevere is home to some of the finest food in Rome, with narrow winding streets offering mouthwatering bakeries and irresistible gelatarias. This stunning suburb is made up of intricate architecture, old and new, and has a unique vibe that you’re sure to fall in love with. Spend your time perusing the various options before finding a spot outside to sample all the best delicacies. Aperitivo (or pre-dinner cocktails) is an integral part of Italian life, where buying a cocktail also gives you access to a buffet of delicious treats and snacks (some more substantial than others). Head over to Campo de’ Fiori and find a good people-watching spot before settling down to enjoy the feast as the sun goes down. We suggest trying a Negroni Sbagliato. Instead of the classic martini with Campari and gin mix, it’s Campari and prosecco; a milder version of the classic, but nonetheless delicious (and dangerous as you’re bound to want more than one!). Round off the evening with dinner al fresco in one of the many lovely piazzas. 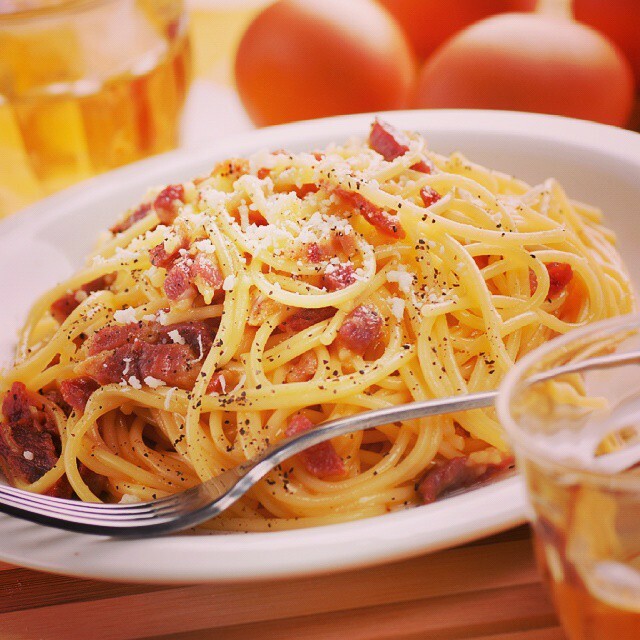 Be sure to try some of the local specialties, with Carciofi alla Romana, Pasta Cacio e Pepe, or real Carbonara never disappointing! Sit and take in the atmosphere of local life and raise a glass to your new love affair with the city of grandeur. After all, when in Rome…! Headed to Rome? Let us show you the local side of life on one of our Rome city tours!